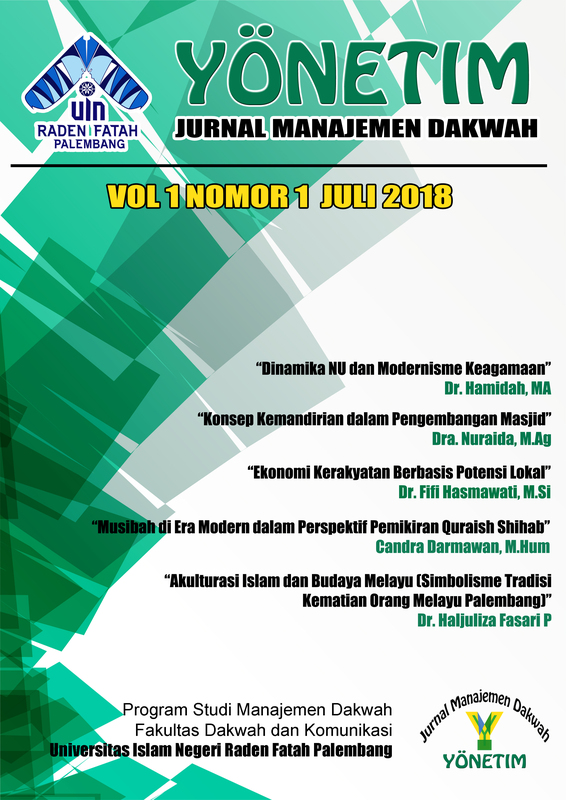 Yonetim : Da'wah Management Journal is a journal of da'wah, managment, and community studies published by the Faculty of Da'wah and Communication Universitas Islam Negeri (UIN) Raden Fatah Palembang. Yonetim : Da'wah Management Journal is published twice a month in June and December. Contains writings raised from the results of research and scientific studies in the field of Da'wah, Management, and Social Society.